The public consultation on the review of national wholesale roaming markets, fair use policy and the sustainability mechanism, took place from 26 November 2015 to 18 February 2016. This report takes stock of the contributions and trends that emerge from the public consultation on the review of national wholesale roaming markets, fair use policy and the sustainability mechanism, referred to in the Roaming Regulation 531/2012 as amended by Regulation 2015/2120, focusing primarily on the quantitative analysis of the responses. The consultation aimed to gather input for the wholesale roaming review and the preparation of implementing acts that set out detailed rules on fair use policy and on the methodology for assessing the sustainability for individual operators of abolishing retail roaming surcharges. The overall objective laid down by the EU legislators in Regulation 2015/2120 (the "Telecoms Single Market" Regulation) is to enable the sustainable abolition of retail roaming charges (roam-like-at-home or RLAH) by 15 June 2017. 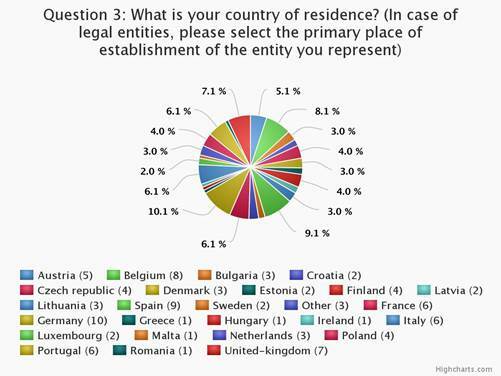 The consultation gathered 92 replies from stakeholders in 25 EU countries and Norway. the methodology for assessing, at the request of a given operator, whether abolition of retail roaming surcharges would exceptionally undermine the sustainability of its domestic charging model. The following trends can be observed without prejudice to the results of the analysis of the consultation. There is a different perception on the effective functioning of wholesale roaming markets, in particular among operators. Certain historic incumbents and operators with a large footprint, and generally operators with large inbound roaming traffic argue that some competitive dynamics take place as shown by wholesale market prices being often below the current regulatory caps. Other operators, in particular smaller ones, Mobile Virtual Network Operators (MVNOs), operators with large outbound roaming traffic, argue that prices available to them on the wholesale market are at or close to the current caps and substantially above costs. Views on the effect of Roam-Like-At-Home (RLAH) on competition in the wholesale roaming markets are also split between the two groups of operators indicated above, the former arguing that RLAH will increase competition while the latter argues the opposite. Operators are therefore divided as to what the most appropriate regulatory wholesale level measure can be to enable sustainable RLAH: the former group defends the view that RLAH is sustainable under current wholesale roaming price caps, while the latter argues that wholesale roaming price caps must be significantly lowered in order to enable sustainable RLAH. In the small sample of national regulatory authorities and governments who responded, those in countries with large inflows of roamers defend the status quo (no change in the wholesale roaming price caps), while those in countries sending large outflows of roamers call for lower caps. 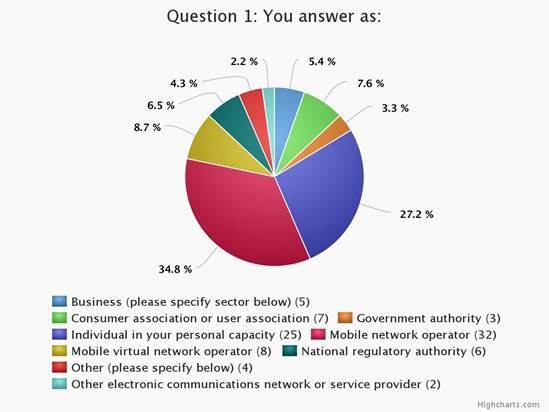 Individual consumers and their associations are cautious in expressing views on wholesale roaming markets since they do not face these markets directly. Those of them expressing a view tend to defend the view that caps must be lowered. The vast majority of respondents defend the view that caps should remain EU-wide i.e. the same for all EU countries. Individual consumers defend the most generous fair use policy possible, that would accommodate the roaming needs for tourism/holiday and business, as well as roaming needs in border regions (such as daily border crossing). Mobile operators argue that fair use policy for EU-wide RLAH should apply for occasional travellers i.e. tourism/holiday needs throughout the EU. According to them, more intensive roaming needs for business purposes and border regions are dealt with through specific tariff plans addressing the specific needs of those customers. A widespread view among respondents is that this mechanism should not be overly complex. Individual stakeholders have provided detailed feedback on the different steps it should comprise. The Commission also received a submission from BEREC, the Body of European Regulators of Electronic Communications, in which all independent national regulatory authorities are represented, which is available here. The contributions received cannot be regarded as the official position of the Commission and its services and thus do not bind the Commission. The Commission is analysing the replies to the consultation. A full synopsis report will be published on this webpage in due course. The results will feed into the wholesale roaming review, in respect of which the Commission intends to present its report and any necessary legislative proposals by 15 June 2016, and the preparation of implementing acts on fair use policy and the sustainability mechanism, which the Commission shall adopt by 15 December 2016.